Offering you a complete choice of products which include couch throw cotton sofa blanket, hand crafted throw blanket, knitted pouf ottoman, mandala peacock window decor curtain, round mandala tapestry and tassel sofa throw. 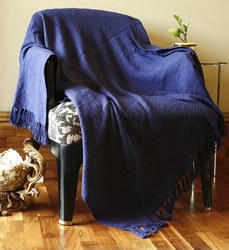 Description :Our superior quality cotton throw is as indulgent as it is beautiful. It's exceptionally woven from the finest materials for a sumptuously plush feel. 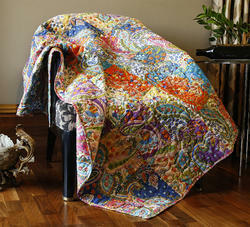 It measures 50"x60" and is an excellent gift for yourself or a friend. 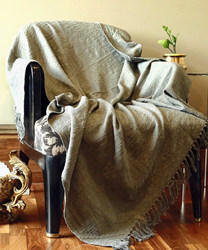 Drape our cozy throw anywhere you need a layer of texture and warmth. Description :-Dress for culinary success and protect your clothes from food stain and accidental spills, add a professional style of cooking and enjoy the action without having to worry about soiling with our White Apron. Back ties and adjustable neck give it a comfortable and good fit. Made from premium quality material these aprons are easy to use and can be maintained without much hassle. Remove non-greasy stains by carefully dabbing with a lint-free cloth or sponge wrung out in clean, warm water. 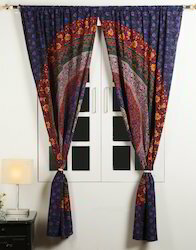 Give your home decor stylish, dramatic and ethnic look with these elegant Indian ethnic design 100% cotton curtains. Each vivid colored curtains have Rod pocket which easily slides in any standard size curtain rod and it gives a warming effect on your home window treatment while provides privacy at the same time. Care:- Gentle Hand Washes Separately In Cold Water, Dry In Shade. 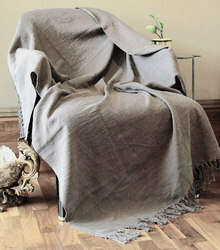 Our superior quality grey color cotton throw is as indulgent as it is beautiful. 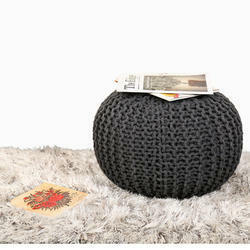 It's exceptionally woven from the finest materials for a sumptuously plush feel. 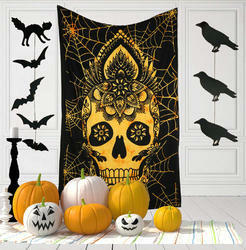 It measures 50"x60" and is an excellent gift for yourself or a friend. Drape our cozy throw anywhere you need a layer of texture and warmth. 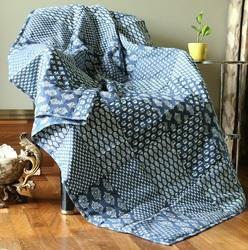 Our superior quality indigo patchwork quilted throw in cotton is finely stitched with beautiful block print motifs. 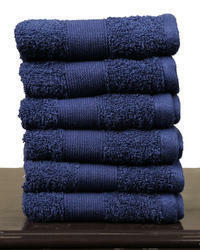 It's exceptionally woven from the finest materials for a sumptuously plush feel. 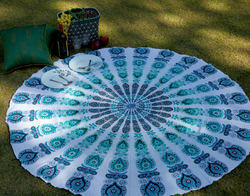 It measures 50"x60" and is an excellent gift for yourself or a friend. 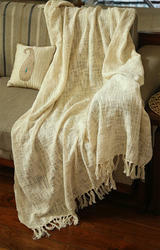 Drape our cozy throw anywhere you need a layer of texture and warmth. Features Finished to perfection, dense pile forsinking softness. Exceptional Absorbency. Tufted by one of the finest and experienced artisans of India. Every bath mat is checked and packed individually ensuring you get the best. Made of super soft, superior cotton yarn, Rajrang offers 100% Cotton Rugs with a polypropylene backing and comes in a pack of 2. This rug is sure to bring a luxuriously elegant feel to any bathroom decor. 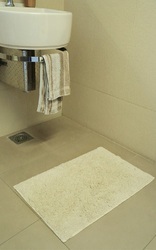 Features:100% cotton bath mat will feel soft against your feet keeping them gentle and soft. Description :"Our hand towels are plush, soft and highly absorbent.Made of 100% Cotton, our looped design terry towel is lightweight and super absorbent. They dry out quickly reducing the risk of mildew and bacteria build-up. 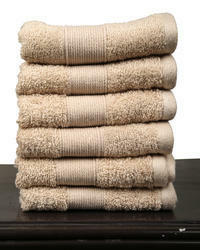 Sold as a set of 6, these 16x24 inches hand towels will add an elegant look to any Bathroom. You can also segregate them for keeping a few in your kitchen, nursery or even tuck a few into your gym bag. 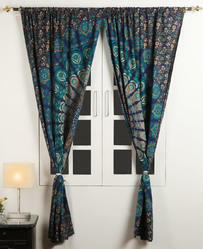 Give your home decor stylish, dramatic and ethnic look with these elegant Indian ethnic design 100% bedroom curtains. Each vivid colored designer curtains have Rod pocket which easily slides in any standard size curtain rod, and it gives a warming effect on your home window treatment while provides privacy at the same time. 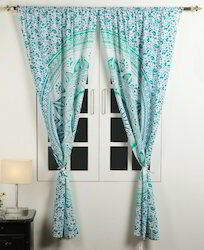 Give your home decor stylish, dramatic and ethnic look with these elegant Indian ethnic design 100% cotton printed curtains. Each vivid colored curtains have Rod pocket which easily slides in any standard size curtain rod, and it gives a warming effect on your home window treatment while provides privacy at the same time. Freshen up your bedroom by welcoming this cotton hotel bedding set from the house of Rajrang featuring the elegance of floral pattern. Made from high-quality cotton this hotel bedding set lends the visual charm and ascertains the soft feel and easy maintenance. Create the ambiance at your home with this unique bedding set.